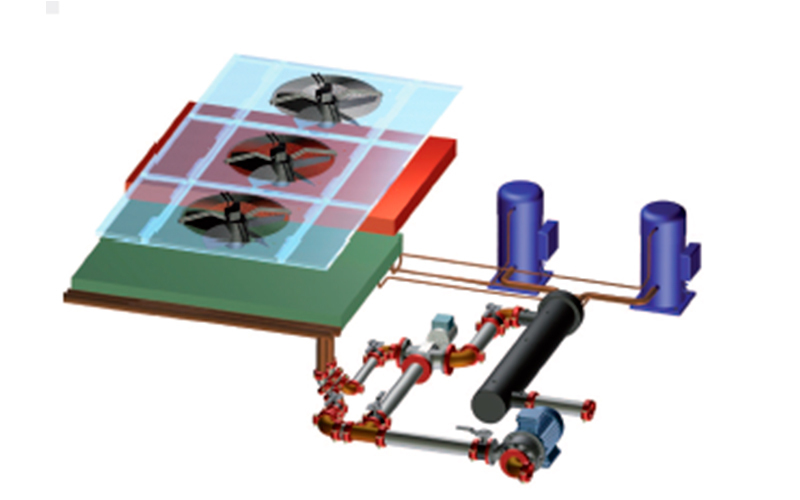 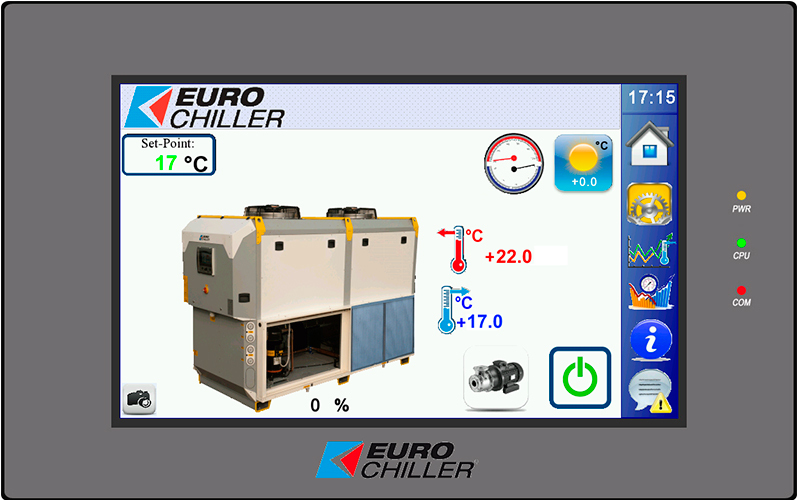 Mid-sized chillers for centralized plants available with integrated free-cooler and or adiabatic cooling. 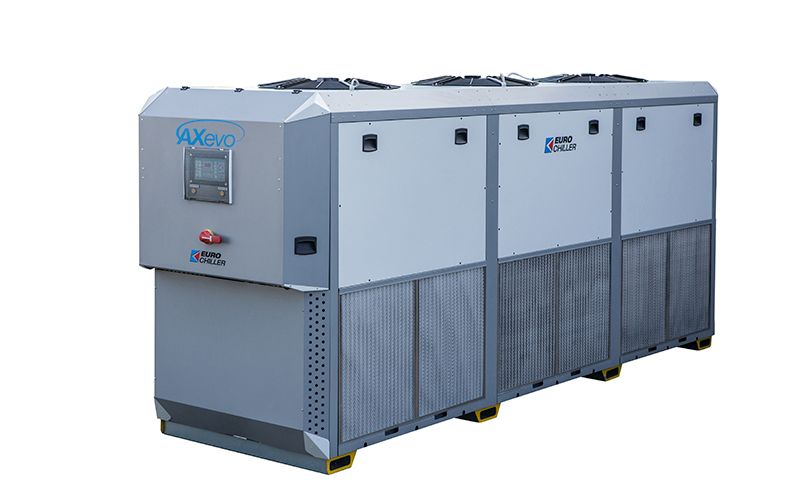 Multi circuit scroll compressors with Variable speed condenser fans. 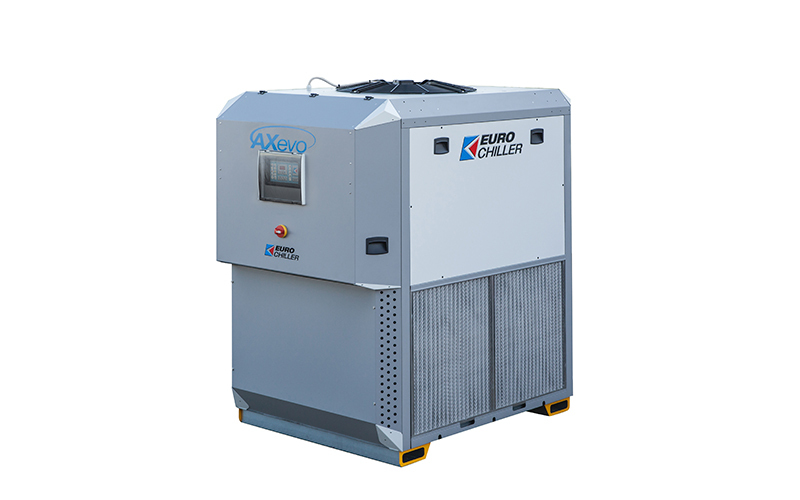 Capacity from 34,3 to 238 kW.